Isn't this the cutest hat ever!!! Its from the wonderful Stitch Marker. 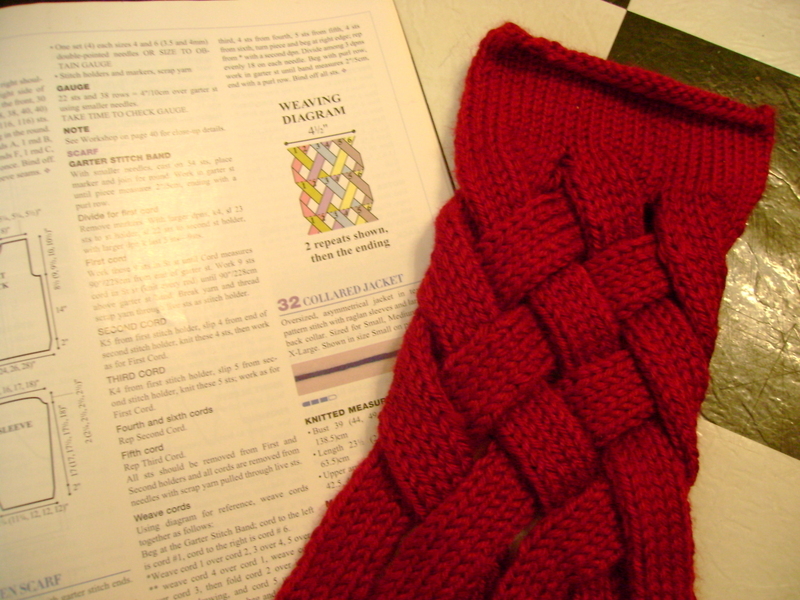 I think I have made three of her patterns. I love them!! 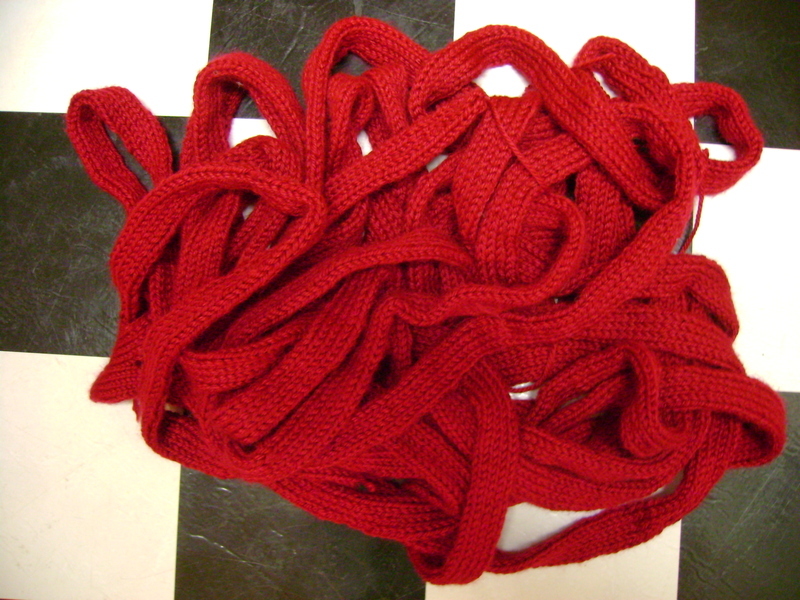 I am a slow knitter, so when I take on a project as a gift it is alot of work. I am constantly looking for something that will work up fast with the optimum cuteness factor. The Saartje booties are a good example of that, too. 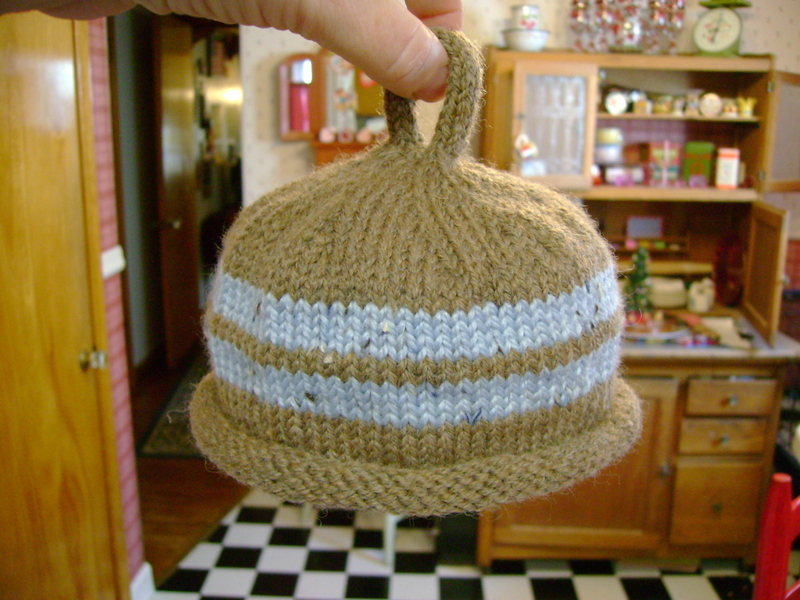 This hat only took me about three hours, with yarn from the stash on size 4 DPNs. 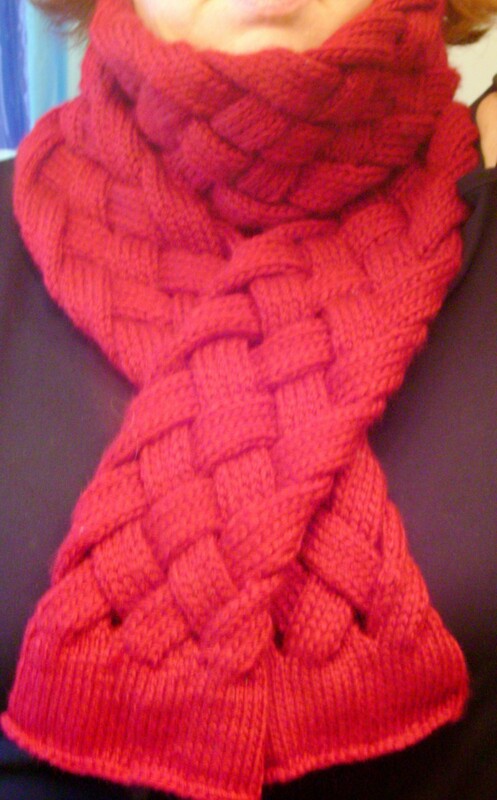 She did the little loop on the top so cute by finishing it off with the kitchener stitch. There was a large hole in the top that I seamed together. 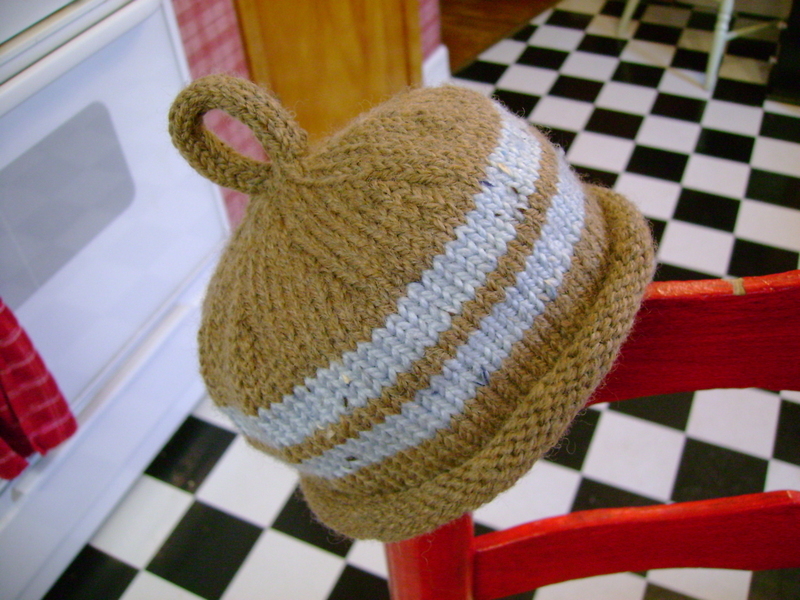 I have to make another one exactly the same, as it is for a set of twin boys due any day now. 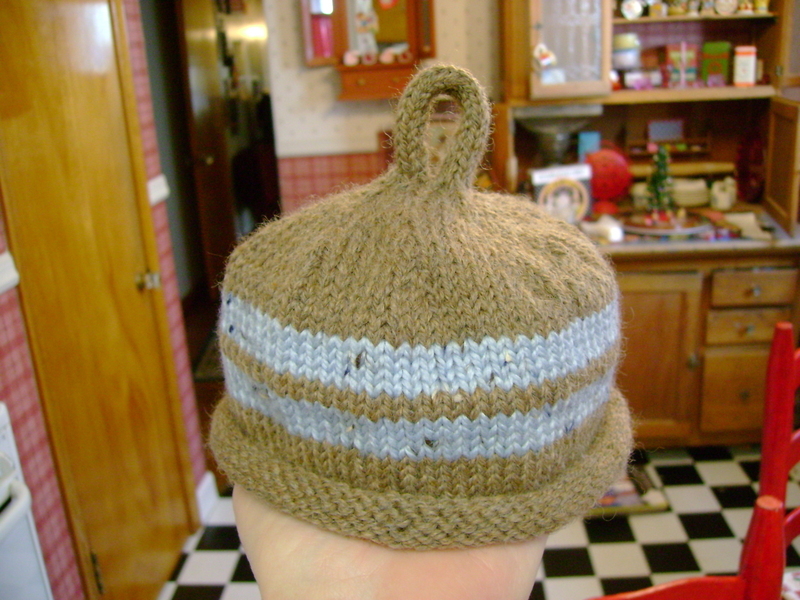 I am going to make a couple of pairs of the afore mentioned booties to go along with the hats. 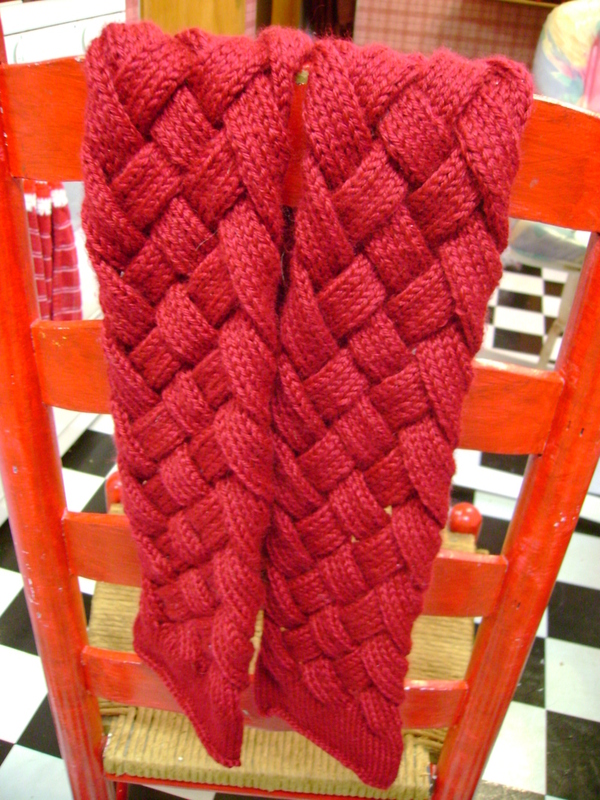 Picture of pretty scarf. 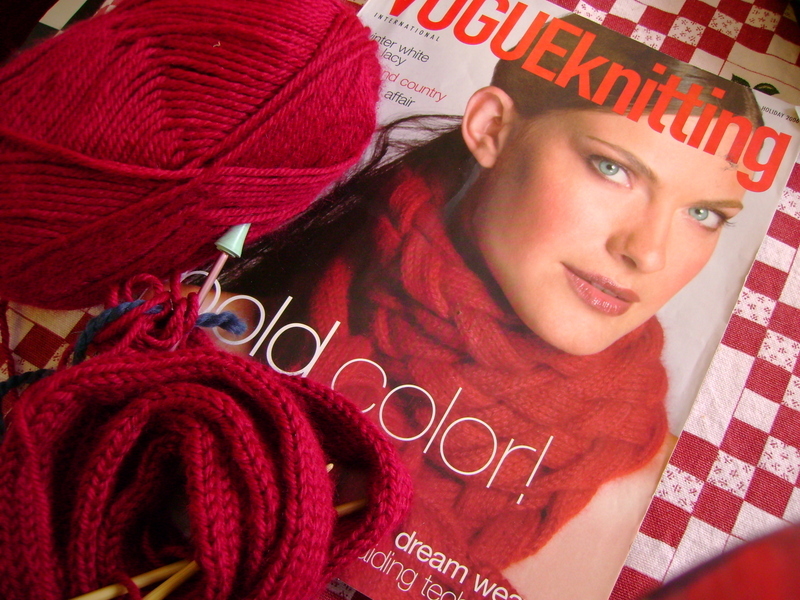 New knitting enthusiasm. 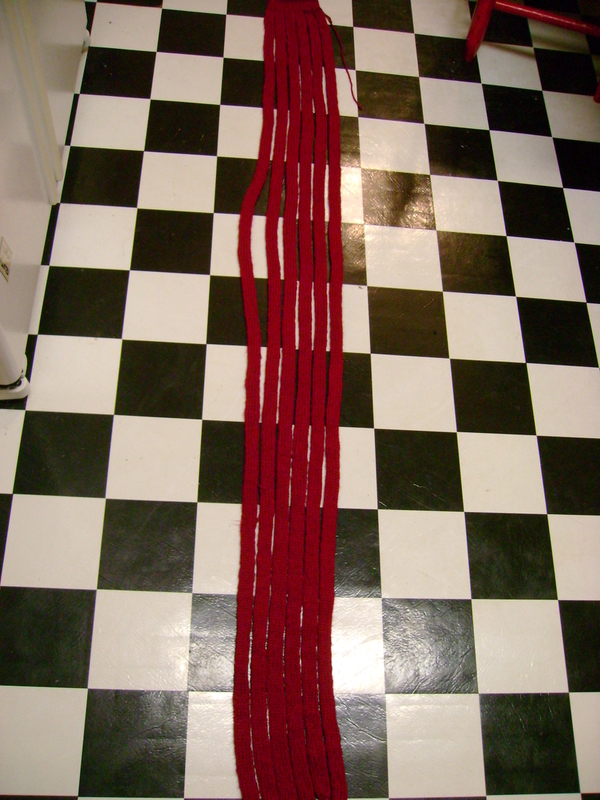 Try to knit six seven foot i-cords. 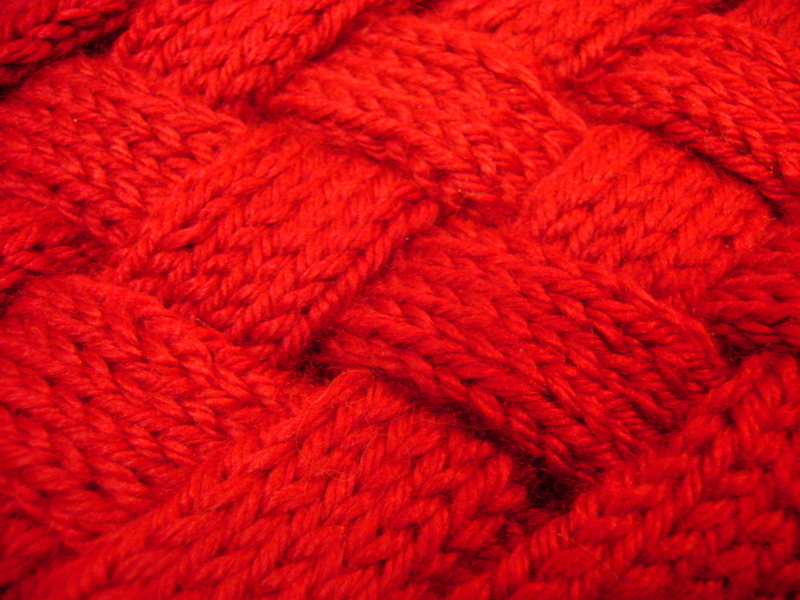 Knit, knit, knit. Put away! 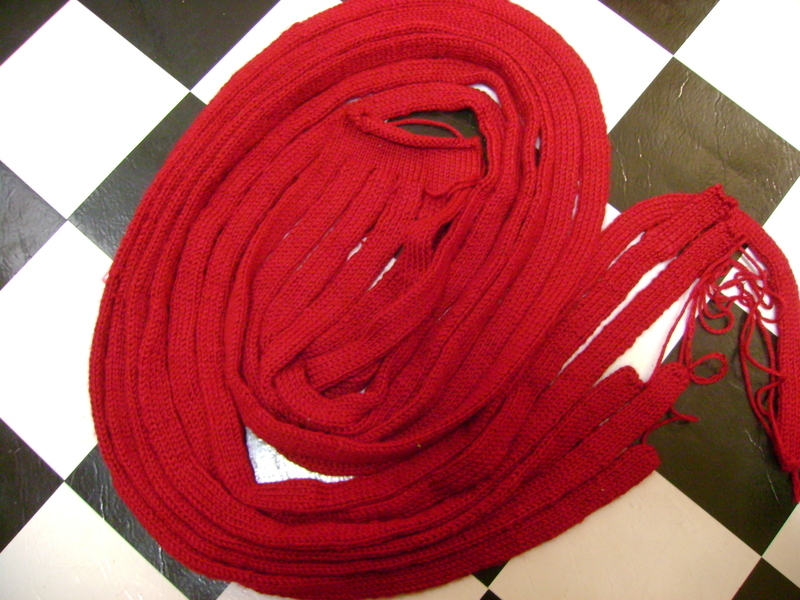 Lay on floor and weave six, seven foot long i-cords. 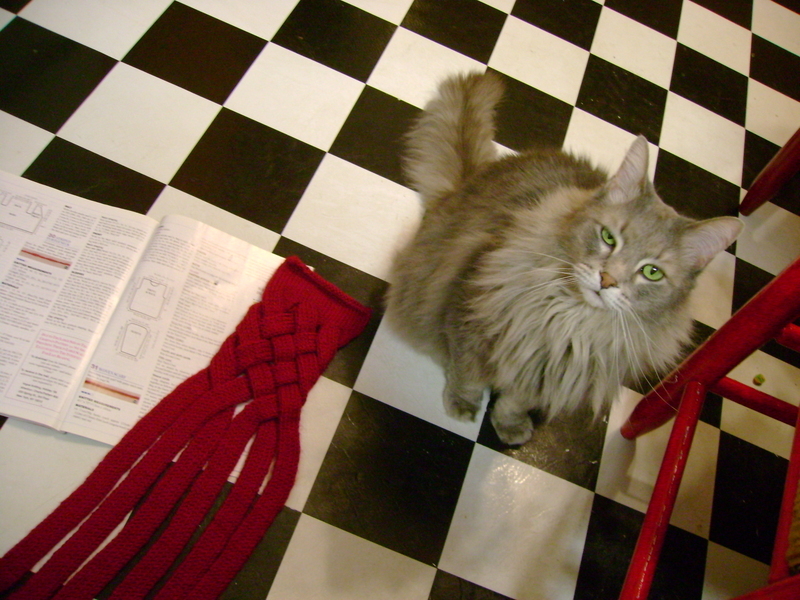 Have cat scorn you, then lay on scarf. Find lint roller. 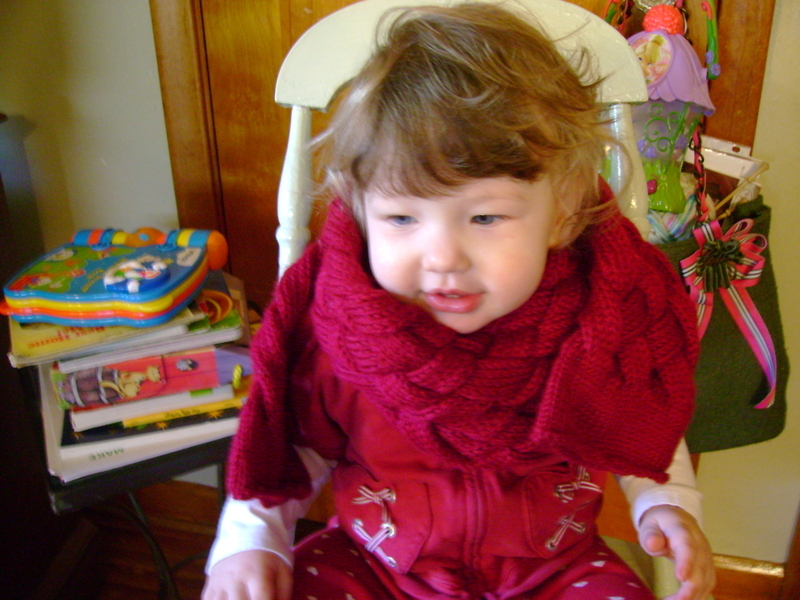 Take picture of grandbaby in scarf. One year and one month in the making.